Lately, I’ve noticed some common phrases repeated on many an author’s online profile. In fact, I bet you could do a keyword search on facebook or twitter, and with the right combination, bring up a slew of writers. Which words, you ask? How ’bout: Coffee, Chocolate, Cats, and Alcohol (Wine for the self composed literary artist; Beer for the humorist and high adventure types; Booze for the poets). Add in an e-reader of some kind or another and a desk to sit at on occasion, then throw in a day job (or some reference to starvation, be it only from fine dining and the latest gadgetry) and there you have it: the intriguing, if obscure, sketch of a writer. Endearing as all these little writerly insignias are, I’m here to say we don’t all fit that mold. In fact, perhaps an ambition of many writers is not to fit any mold. Still, I feel a bit left out when I read about someone’s caffeine-fueled first draft, or the purring fluffball curled around an ankle beneath an office chair. Me? I don’t drink coffee, or any caffeinated beverage for that matter, unless hot cocoa made with organic milk counts. I love the smell of coffee brewing, but hate the taste. Hasn’t anyone noticed? That bean is bitter! No pitcher full of cream, 50 packets of sugar, or drizzle of chocolate can mask that horrid elixir, and I can’t stand it. That’s alright, though, I’ll guzzle my Swiss Miss in solitude. As for cats? I’m highly allergic. I can’t even step into someone’s house who owns a cat without being sick for days after. I have cohabitated with many animals (rabbits, butterflies, guinea pigs, frogs, turtles, owls, beetles…) even cats once, when I was small and hadn’t yet grown into my allergies, but today I chase strays out of my yard with a vengeance. 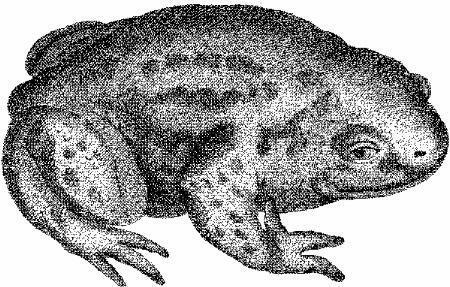 I do wish I could find a largish toad to plop beside me that might croak prettily and enjoy being petted, but such amiable amphibians don’t exist; at least, not outside my re-imagined fairy tales. Alcohol is another abhorrence of mine. I have nothing against it as a beverage choice for the responsible adult; it’s not a moral or religious issue I have with it, it’s just the simple fact that it’s gross! Yet another acquired taste that I can’t seem to acquire (though I do like a good virgin daiquiri or a kiddy cocktail). I’m pretty unversed in technology as well. About e-readers: love the idea–love tangible books more. Admittedly, I do have the Kindle for PC downloaded and use it on occasion. But I like the feel of dog-earing a page and looking up from a compact slice of tree that contains no other world but its own. As for desks, I do own one, and it is a beauty, right out of my Grandpa’s old antique shop (aren’t I spoiled?). One drawer is filled with back issues of Writer’s Digest and I keep my files in order (sometimes) in an organizer that sits on its glass top. But, shamefully, I never sit there and write. In fact, there isn’t even a chair in front of my poor, lonely desk. So where do I write? Wherever I can drag my oversized, ancient laptop: some corner of the library, the backyard or public playground (while my little boys live it up), the kitchen table (while dinner burns)… Most often, though, I write in bed. Late at night, early in the morning, middle of the day, it doesn’t matter. Bed calls; I surrender. Not to sleep, but to a long flow of word-processed dreams. I have yet to find a chair that I can comfortably sit in for long periods. I like to lounge, or sit in weird positions, like some deranged bird on a tree branch. Office chairs just don’t cut it. Although, after getting a small beanbag chair for my boys, I am considering that alternative. It makes me laugh to imagine a massive lump of stuffing plopped down in front of my pretty, antique desk; like some alien blob inspecting the foreign objects of human existence. Hmmm… that sounds like good inspiration right there! As for the starving artist syndrome, I am happily kept afloat by my husband, who works full time and keeps us insured. I do have a day job though, and my employers can be pretty strict about pursing my writing only during my off time, what little of it I have. In fact, just during the writing of this I have been interrupted several times, once to wipe someone’s rear end. The two Wojtaszek brothers that own this business are quite demanding little overlords, but what else can you expect from a 4 year old and a 2 year old? So I guess I do have something in common with the typical writer after all: being at the mercy of all the other demands of life and burning through the midnight oil to pursue a passion. I think chocolate is something most people have in common, no? How true! I do like chocolate, coffee, and alcohol. But this might have more to do with the fact that I’m an overweight foodie than a writer. Also, I have no cats. But I don’t mind them. But I also like dogs.